Joseph Penn is a Werewolf who has come to New York City to celebrate his sister’s birthday. Having been turned against his will years earlier in a violent attack, he spends as little time as possible away from his secluded home. Sitting in the bar, waiting for his sister, he’s shocked when he receives an unexpected text from his old friend, Madame Evangeline, the owner of the exclusive dating service, 1Night Stand, telling him he’s being set up with a woman in that very bar.Kaylee Post has lost her boyfriend, her job, and her self-confidence. 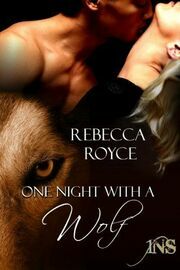 Intending to celebrate her friend’s birthday at the Manhattan restaurant, she never expects instead to have a one-night stand with a wolf who will change her life in ways she can’t yet imagine.